Some architects begin new projects by creating a “bubble diagram” that turns the program — the list of space requirements for a building—into a set of shapes. Mostly, these diagrams are useful for figuring out adjacencies and loose spatial relationships. They’re really about translating information in spreadsheets into something that can begin to inform decisions about space, form, structure and all the other good stuff that makes buildings worth building. Over time, we’ve seen an awful lot of architects use SketchUp Pro as a tool for making more-accurate bubble diagrams. They create “rooms” whose areas match the ones in the program, group each one, and arrange them three-dimensionally. The results aren’t buildings, per se—I prefer to call them shoebox models. They can be very useful, but there’s a catch: once a room changes size, there’s a disconnect between the spreadsheet (which is what the client is asking for) and the nascent design. That’s where the SketchUp interoperability in Trelligence Affinity comes in. 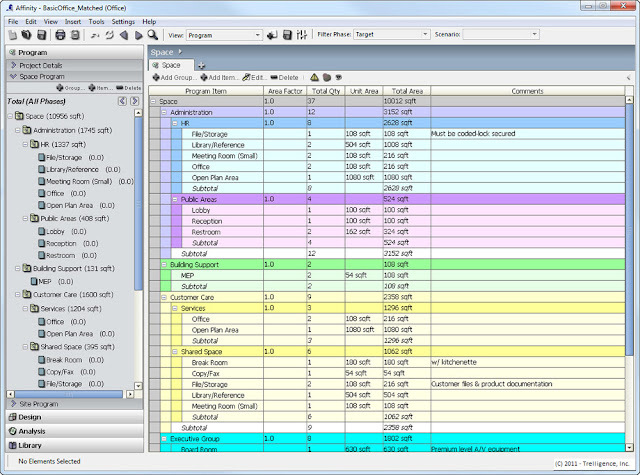 Affinity is Windows software made specifically for the architectural programming and schematic design phases. It includes neat tools for visualizing program information in different ways and using that information to guide your design. 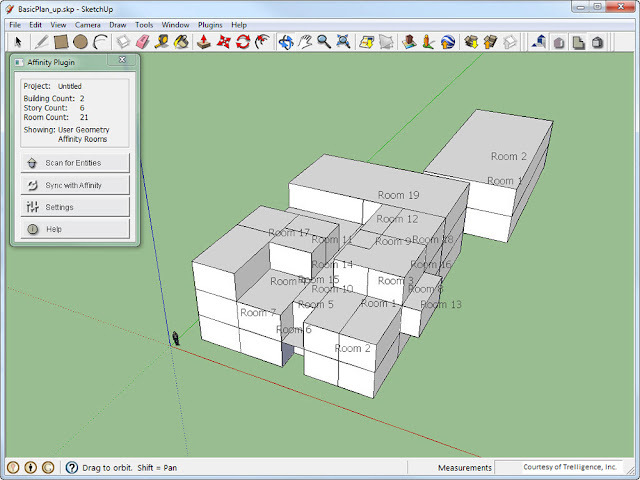 The new Affinity plug-in for SketchUp lets you easily connect your shoebox model to Affinity, creating a permanent connection between the model, the spreadsheet and all the underlying data about the building requirements. Forgot to include a conference room? Inadvertently doubled the size of the cafeteria? Affinity will let you know. The workflow is actually bi-directional; you can begin in either SketchUp or Affinity. 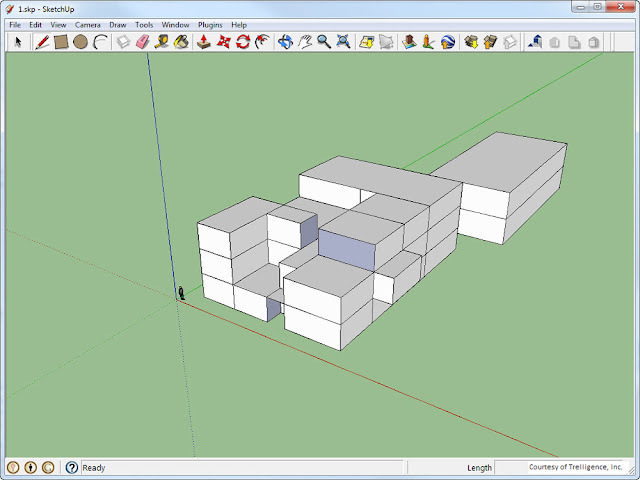 You can start with a programmatic massing model in SketchUp. I like to think of these as 'shoebox models'. Scanning your model with the Affinity plugin assigns it useful metadata. In Affinity, you can view the scanned SketchUp model in different ways. 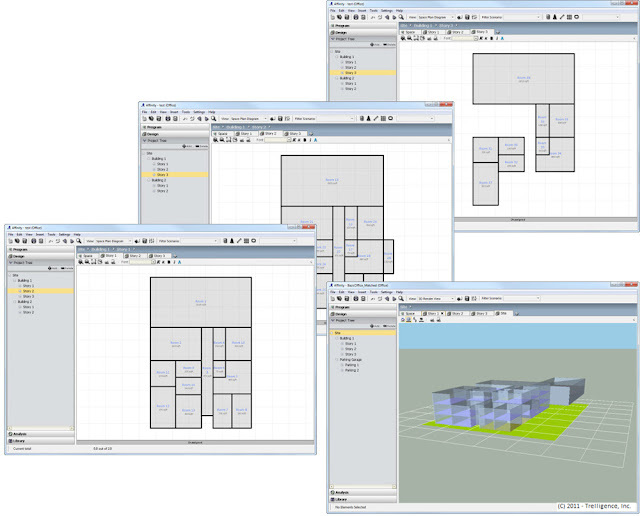 The architectural program in Affinity can be linked to your SketchUp model. To download the plugin and get more information, check out the plugin page. Aedas architects were working on a 2D version of this as a plug in for Autocad in 2005... I wonder if anyone in their R&D division worked on this plug in for Sketchup? ?